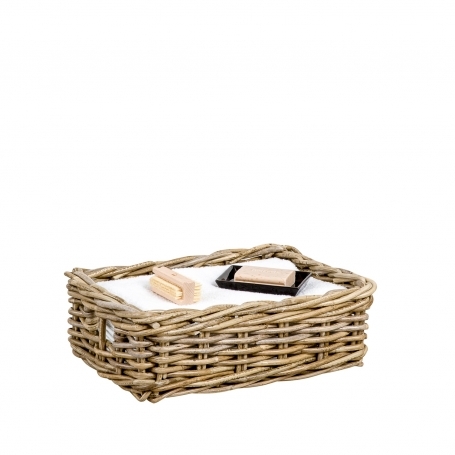 This natural grey rattan basket is very versatile but also stylish in appearance. Ideal to store and tidy your tv remotes. The perfect basket for holding papers on a study desk or practical for storing serviettes and condiments in the kitchen or pantry. Also available in size medium and large.